There's nothing like the breathtaking color palette that nature uses to paint the falling leaves brought on by the changing of the seasons. Harvesting, Hiking, Hunting, Hayrides, Haunted Houses, & Horseback Riding are all in full swing. It's a beautiful time of the year! Celebrate the Fall with this all-new Autumn In The Country All-Over T-Shirt! 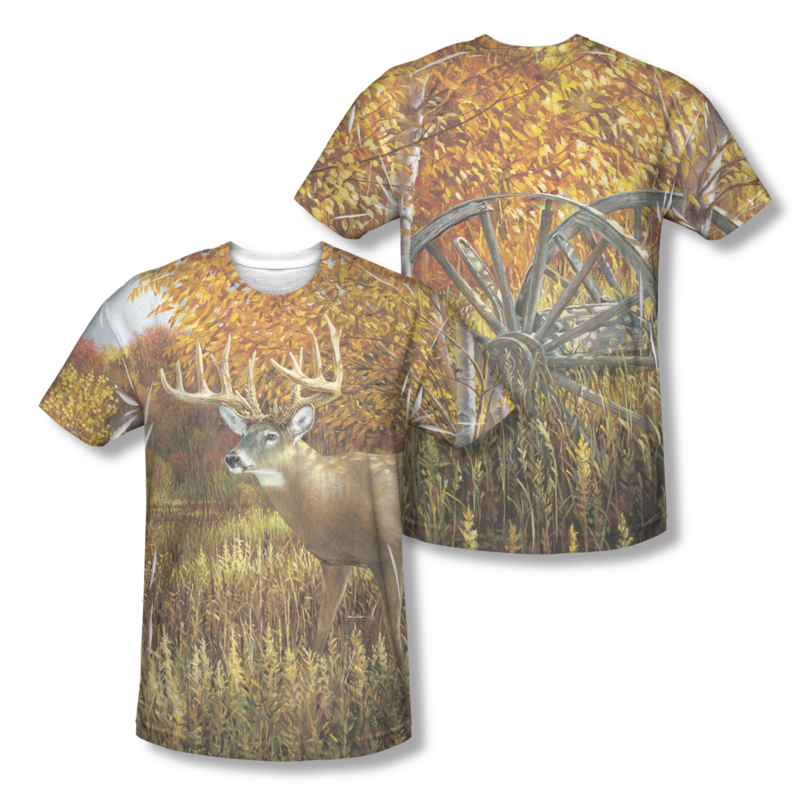 Warning: Do not wear this garment in the woods during hunting seasons without the proper safety attire. Check local laws & ordinances to be safe.